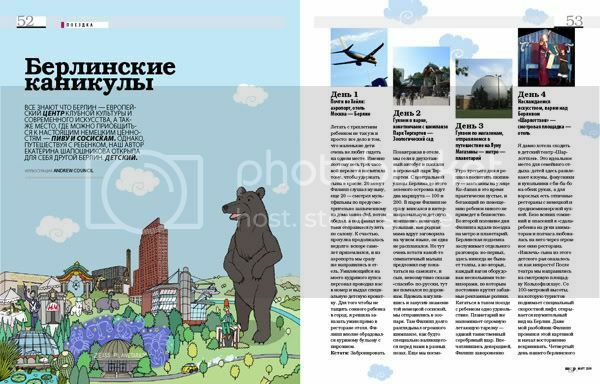 I've recently done a couple of illustrations for another Russian magazine - Mamas&Papas parents and childrens mag. This first one is of various places of interest for little un's in Berlin. 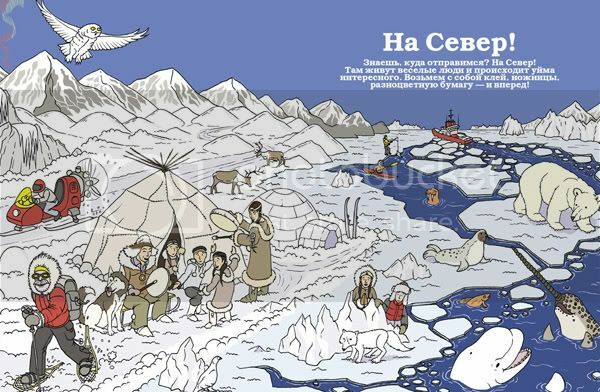 The Russian text and design really enhance the illustration. I'm quite pleased with the bear - he looks very friendly. 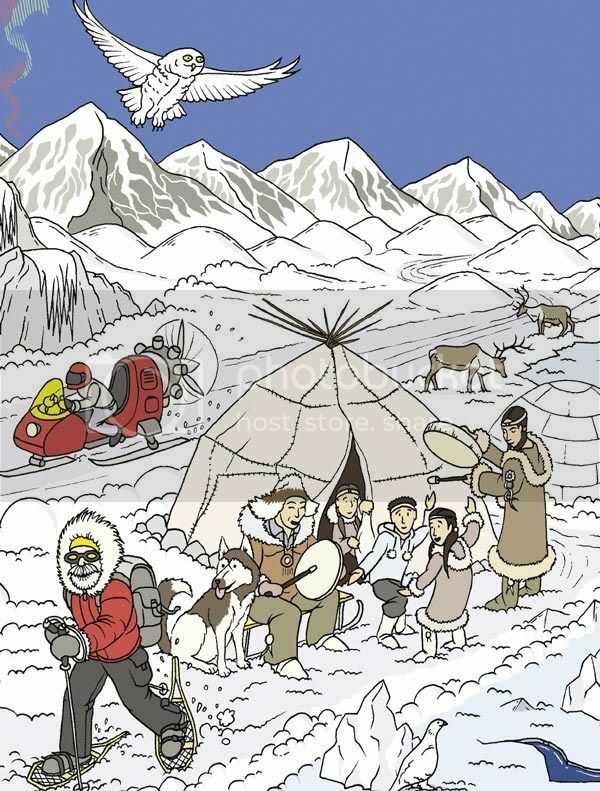 The second one I have done is of an arctic landscape with lots of people and creatures that can be found in that part of the world. I'm really pleased with this one - has a kind of Tin Tin feel to it. The explorer dude with the beard looks alot like my mate Rich! 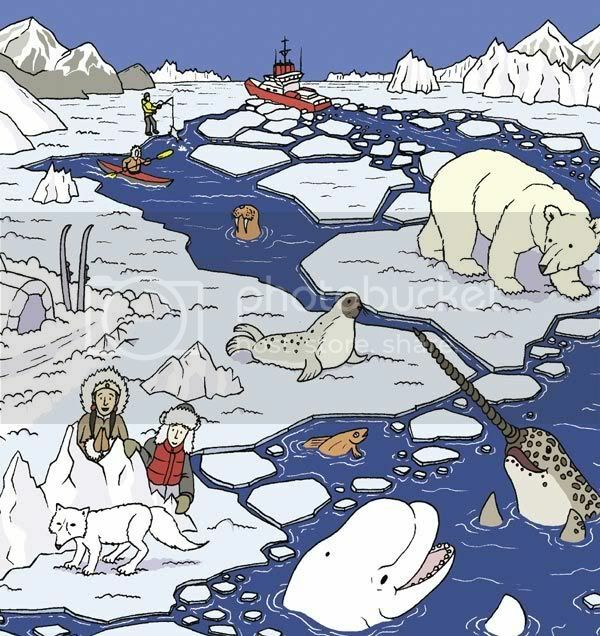 I like how the Beluga Whale and the Narwhal have come to the surface to have a chat! 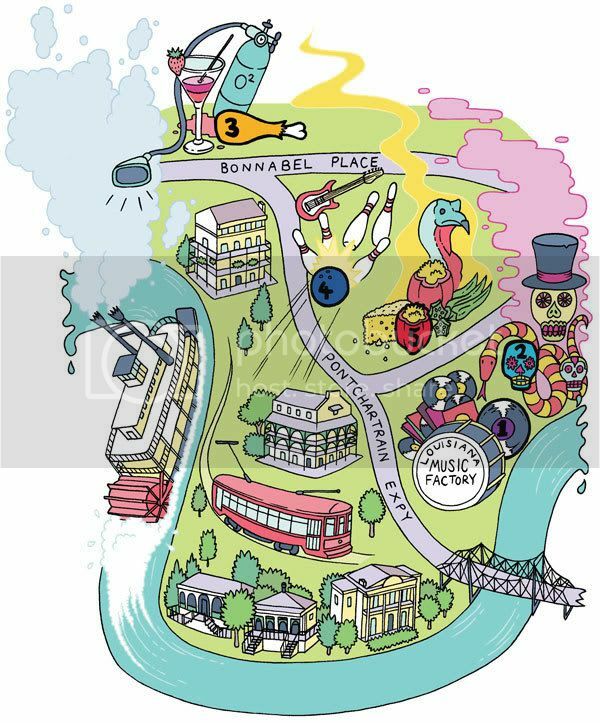 A while ago I did this illustration for US magazine Blender for an article on where to go in New Orleans. I like the Voodoo skulls and steamboat! 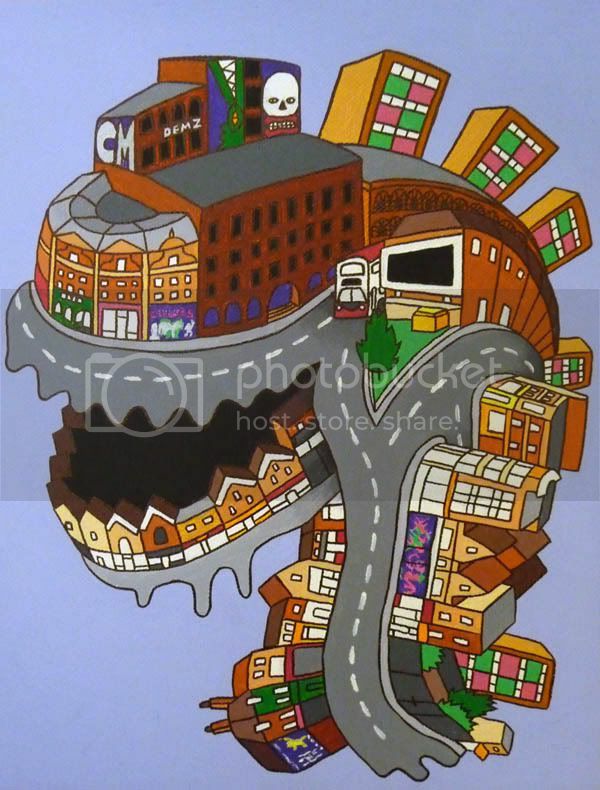 Yet another place that I have done an illustration on that I would love to go to one day. HAPPY NEW YEAR! This was my last painting of 2008 - a special BC version of Stokeadocus. Stokeadocus is the head of a dino beastie that is made up buildings and landmarks of the Stokes Croft area of Bristol where there is lots of Street Art. 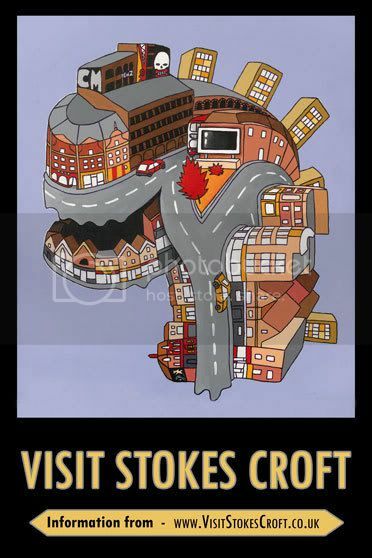 The original Stokeadocus painting is available as a poster that promotes visiting the area. It is available from the PRSC.